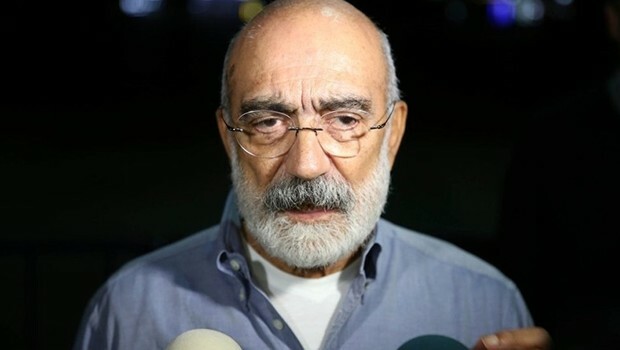 Journalist and author Ahmet Altan was arrested by an İstanbul court on Friday for allegedly “attempting a coup” and “being a member of FETÖ,” a term the government coined to refer to the faith-based Gülen movement, Cumhuriyet daily has reported. Police detained Altan late on Thursday after the İstanbul 1st Penal Court of Peace issued a warrant for his detention following his release from custody earlier in the day. Altan had announced that he would go to the İstanbul Courthouse in Çağlayan within 24 hours to surrender. He was already facing an international travel ban and was also required to report to a nearby police station once a week. After spending 12 days in detention Ahmet Altan was released under judicial supervision, while his brother, journalist and academic Mehmet Altan, was arrested by an İstanbul court early on Thursday.